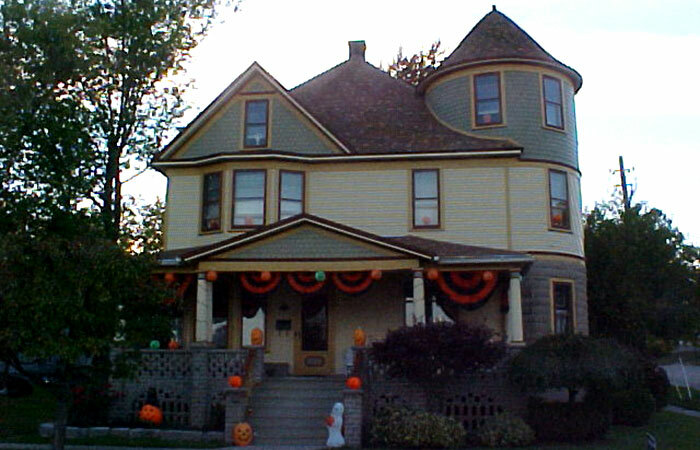 Schwab homested, a classic Victorian house, is located in St. Clair Michigan. Photo gallery uploaded by oldhse11. 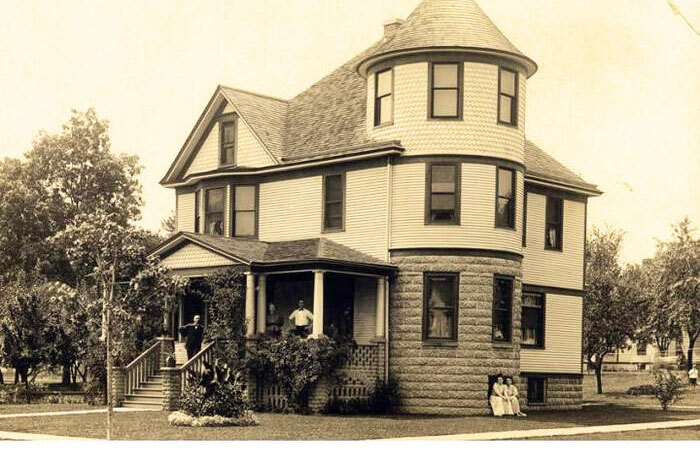 An antique photograph of Victorian house taken in 1905. 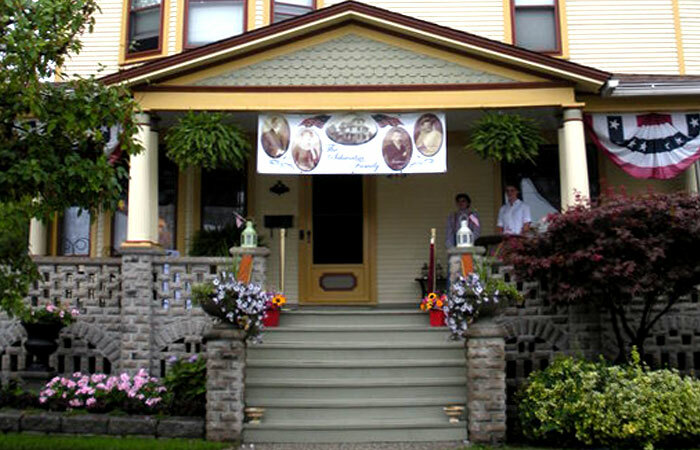 Victorian house colors are featured on the quaint Victorian porch. 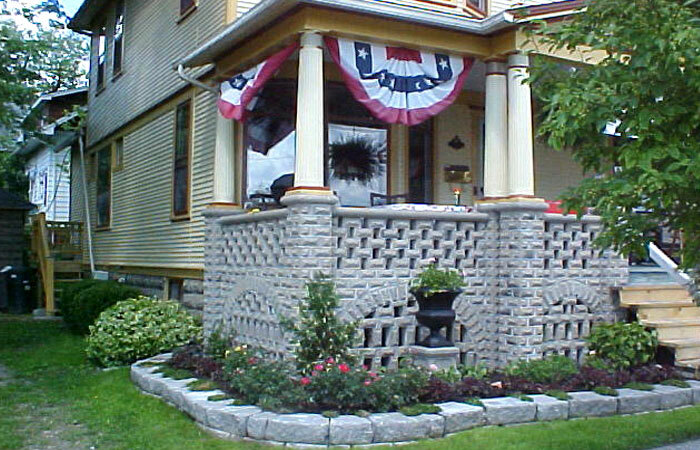 Gray stone porch is framed by landscaped bushes and flowers. 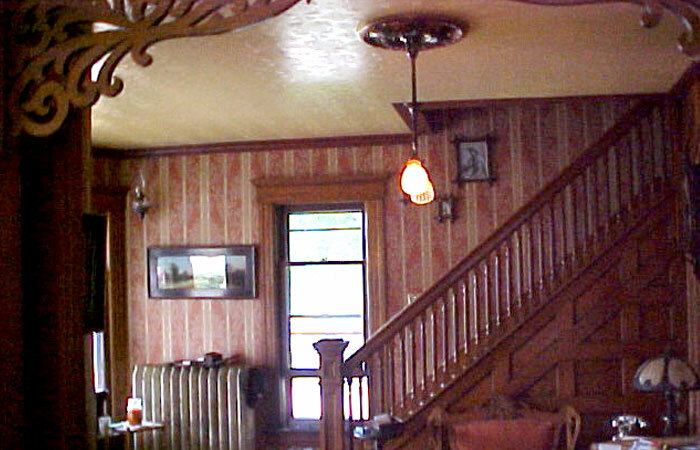 Visitors to the Schwab homestead enter through the Victorian foyer. Victorain living room looks out through the attached porch. 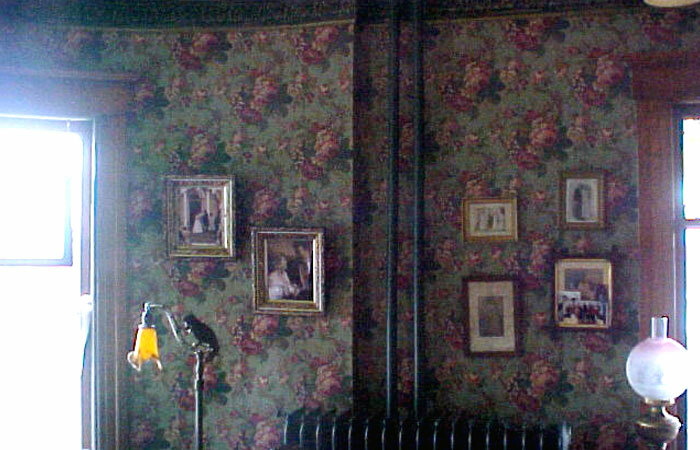 Colorful Victorian wallpaper patterns decorate the living room walls. 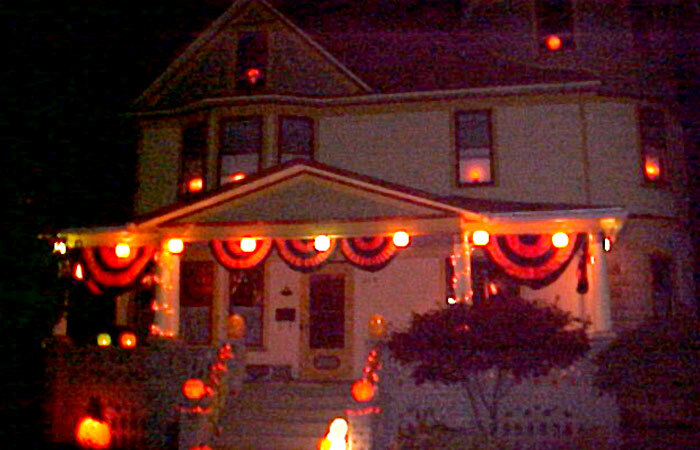 The house is decorated for Halloween. The cellar in a Victorian house was usually placed under the kitchen and hall, which was thought in this instance to be sufficient to meet all requirements, though it was generally considered, in the Eastern States at least, to be poor economy not to have a cellar under the whole house, as it only required about one foot in depth of additional stone work to secure a cellar. Nevertheless, it was necessary to put down the stone work in any case so that it was beyond the reach of frost. In some Victorian houses, the kitchen was without a fireplace, the cooking to be done by a stove, which was a very effective ventilator and preferred by many housekeepers. In rural Victorian houses there was usually a cistern to supply the Kitchen sink with water by a pump. On entering nearly every Victorian house, you will find the same turned walnut post at the bottom of the stairs with tapering walnut sticks all the way up, surmounted with a flattened walnut rail having a shepherd's crook at the top. 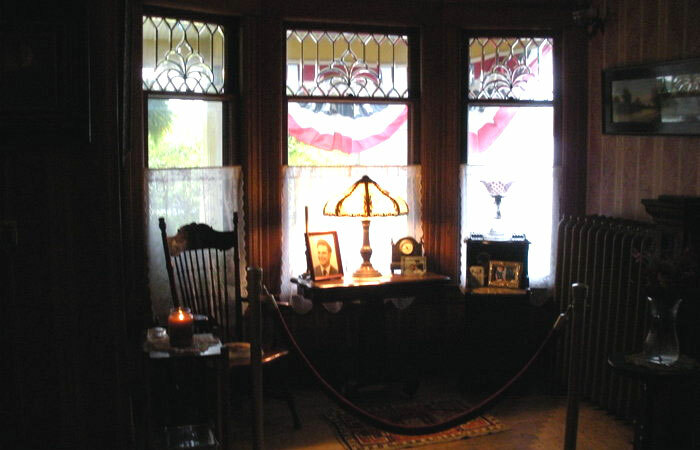 The parlor and dining room or general living room featured the luxury of an open fireplace often built of buff brick with molded jambs and segment arch, in which a basket grate or fire dogs were placed for the fire. In this way large rooms were kept perfectly comfortable in cold weather without heat from any other source. These fireplaces were also provided with neat mantels constructed of ash, which were elegant compared with the marbleized slate mantel.